The quirky game show returns in the age of Uber to take back the streets in the name of medallion taxi drivers everywhere. 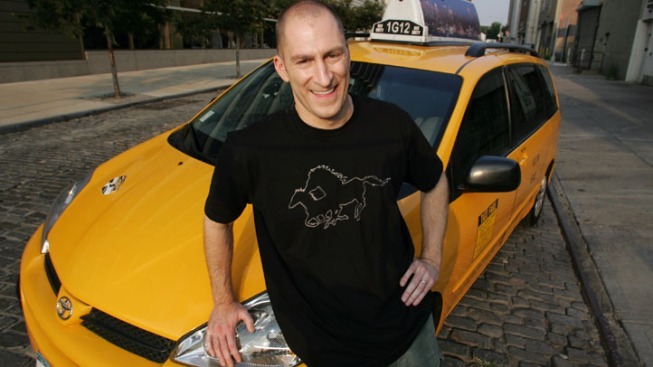 Ben Bailey is back in the driver's seat for "Cash Cab." "Cash Cab" cashed out five years ago, not long after Uber started cashing in. Sure, there's no direct tie between the quirky game show, in which unsuspecting New York City cab-hailers suddenly found themselves answering trivia questions for modest money prizes, and the ride-share app that's upended the taxi business. But for some, the rise of Uber made the idea of taking an iconic New York yellow cab seem like a pricey nostalgia trip – one even less appealing without the minuscule chance of getting comedian/quizmaster/cabbie Ben Bailey as your driver. It's amid this landscape that "Cash Cab" returns Monday for a six-episode season on Discovery – if not to take back the streets, then to reclaim a piece of the popular culture in the name of medallion cabbies everywhere. During the original 2005-2012 U.S. run of “Cash Cab,” passengers set the course, but Bailey set the tone with his by turns sardonic and empathetic approach to hosting on the move. The stakes were never much higher than pride: Winners usually exited a few hundred bucks richer, while losers got tossed out on the street, left to take the game show equivalent of the walk of shame. Still, everybody seemed happy to be there for the ride, no matter how long it lasted. In a concession to the app age, the producers – including the great David Steinberg – have added a new shout-out that allows contestants to get aid via social media. Nobody will be tapping Uber for answers. "Cash Cab" still offers the best ride share in town.